All the cockpit conversation tape segments below were recorded by Captain Don Peterson, a Dolphin pilot who wired a cassette recorder input cord into his Dolphin's intercommunication system (ICS) control box. All of these segments are extracts of conversations on 5 March 1971, and Captain Peterson has captured both the chaos and the courage exhibited by American helicopter crews in Laos during Operation Lam Son 719. Most helicopter pilots monitored several radio frequencies at the same time on their VHF, UHF, and FM radios. There was definitely a learned skill to listening to these multiple, overlapping conversations, but most pilots were able to listen to all of them at the same time and pull out what was important and relevant from what was not. This is the way it was! You will hear the actual Mayday call from First Lieutenant Butch Elliott after he was shot down and crashed in the trees, and of the reaction to his call by "Boats 6" Major Dale Spratt, the 174th AHC Company Commander, and others. The Dolphins were assigned the callsign "Boats" for the Lam Son 719 operation. 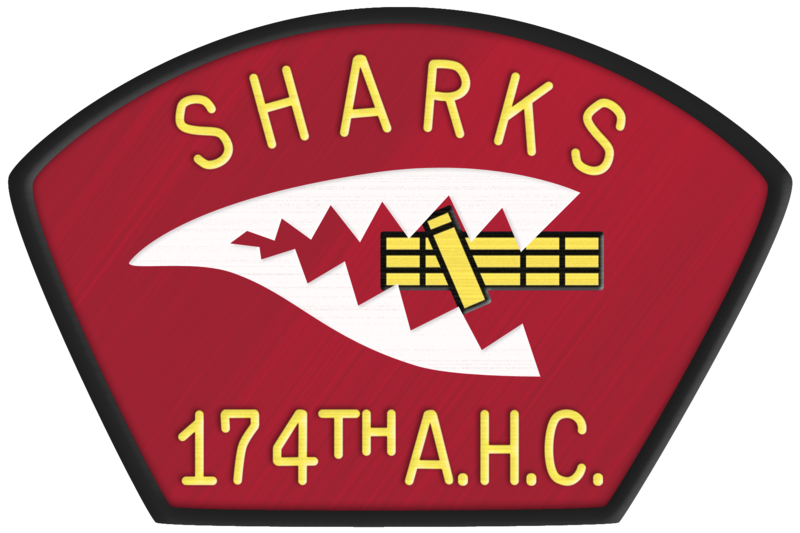 "Witchdoctor" was the callsign of the 174th's maintenance officer. This shootdown was just west of LZ Aloui on 5 March 1971. Major Spratt tried to land and rescue Lieutenant Elliott and his crew but was driven off by AAA fire. See the 1971 page for a detailed account of Elliott's shoot down and his three days on the ground in LAOS. On this tape you'll also hear the criticism Major Spratt received from the Air Mission Commander (AMC) for attempting to rescue Lieutenant Elliott. By early March, the North Vietnamese Army (NVA) had rolled in a lot of 23 and 37 millimeter AAA (automatic antiaircraft) guns in the area and brought in more .51 caliber machineguns for triangular ambush sites of the American helicopters. Additionally, the NVA had brought in an enormous amount of signals intelligence gear which put them on the American radio frequencies. An example of this signals intelligence can be read in John Bishop's story of his shootdown on 3 March 1971 while enroute to LZ Lolo. 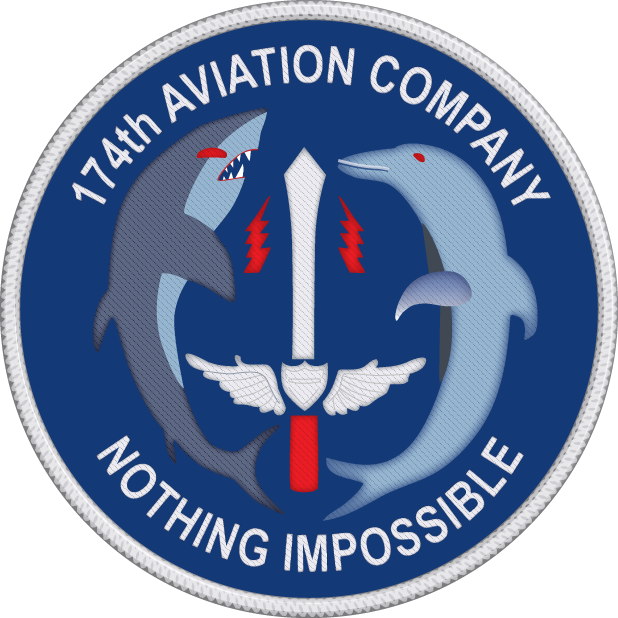 (That story is on the 174th's 1971 history page.) The amount of AAA fire forced an awkward approach into the LZ, referred to in other tapes as a "buttonhole" approach. As can be heard, because of the extremely heavy antiaircraft fire, UH-1Hs were falling out of the sky this day. You'll hear Dolphin 29's radio call when he was shot down in flames, "Two-nine's on fire! Two-nine's on fire and going down!" Another Dolphin was shot down just after him when he tried to go in after him. A third helicopter (Dolphin 17) did manage to get in under heavy fire and get out Dolphin 29's crew. With all the antiaircraft fire, the hits, and the shoot-downs taking place, the courage of these helicopter crews is personified in the radio transmission you hear when a crewman on Dolphin 17, knowing full well the intensity of the fire and the general situation, and after they'd safely cleared the area, asks his AC if they can go back to see if Dolphin 29's crew is OK. They did, and they rescued three of the four Dolphin crewmen. The forth crewman (Dolphin 29's copilot), and the crew of the other Dolphin that was shot down beside 29, were eventually extracted later. All eight crewmen survived. Auction Lead, C/158, is also on these tapes. Auction lead is Captain David L. Nelson (a second-tour former Warrant Officer pilot from flight school class WORWAC 67-3). Captain Nelson took heavy fire while going into LZ Lolo. His gunner, SP4 Mike King, was hit in the head. Several of the ARVN (South Vietnamese) soldiers were also hit. His copilot was WO1 Ralph Moreira, and the crewchief was SP4 Joel Hatley. You will hear Captain Nelson's calmness and sense his courage in what must have been an extraordinarily stressful situation, as he reports on his condition when he breaks off his approach into the LZ. His aircraft took multiple hits, his gunner was shot in the head, he had other wounded troops onboard, he was losing fuel from where the bullets penetrated the fuel cells and his cargo floor, and he was attempting to climb out and take his injured bird back for "Kilo Serria" (Khe Sanh) where he could land. Soon after that transmission, his last, his Huey just blew up in midair, at altitude. There were no survivors. It would take over 19 years, until October 1990, before the remains of Captain Nelson and his crew were recovered from Loas and interred in a common grave at Arlington National Cemetary. For additional information on the recovery of the Phoenix crew, and their burial at Arlington, as well as details on the loss of "Music One Six," a Cobra helicopter and crew, visit Mike Sloniker's article about these two losses. These men were heros all. Right after Captain Nelson's radio call, you'll hear the short "Get 'em out of that LZ..." segment that is on the Website's front page. The voice is the commander of the 174th AHC, Major Dale Spratt, as he very succinctly tells the aircraft in LZ Sophia to quickly clear the LZ because the trailing slicks were jammed up behind each other and were taking heavy fire from 23 millimeter antiaircraft guns (Major Spratt crammed a lot of information and meaning into this short transmission). The Dolphin slicks were really hanging it out with low airspeed at low altitude. LZ Sophia is about 7 miles east of Tchepone, Laos. (This LZ is marked on the Loas map on the Website's Maps page.) Note: The photo of the CA on the Website's front page is not the actual CA from Lam Son 719 in which this radio transmission was made. The front page photo is representative of CA's, but is from a CA in the Americal Division area between Chu Lai and Duc Pho. While the Dolphin crews are still struggling with the rescue of Dolphin 29 and trying to account for the missing copilot, you'll hear the reports of the Dolphin crewmen who witnessed a nearby Cobra helicopter gunship that took antiaircraft hits and blew up in flight while on a gun run. Both pilots were killed. Listen to the calmness and the control in the voices of all of these crews. Think of the fear they were experiencing. Appreciate the courage they exhibited. While all the tape segments on this page consist of excerpts, the actual time interval from the beginning to the end of these segments is only a matter of a few hours. Most of the conversations about the Witchdoctor's shootdown, Dolphin 29's shootdown, and the Cobra's shootdown occured within probably five minutes. Other "miscellaneous" conversations are also included below during the same flights. ...And Gets Chewed-Out For It!